Do we have a good one for you today – the venerable Motorola Nexus 6 goes up against a newcomer from India’s Yu Yuphoria…another device with specs that belie its selling price of only $110. 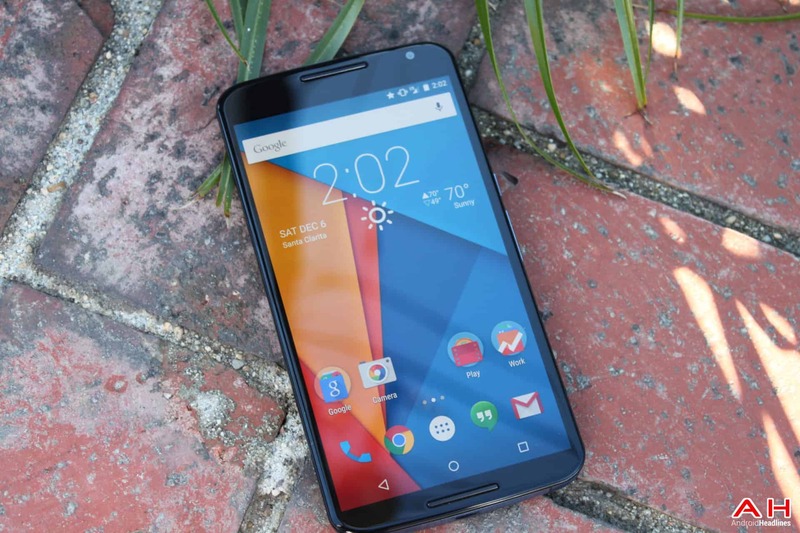 Does the Nexus 6 have enough of the right stuff to justify its $499 (newly reduced) price tag? In the critical areas of display, processor, memory, camera quality and build, which one of these devices is superior and worth the kind of money that is being asked? I hope that after we look at the similar and dissimilar characteristics of both the Nexus 6 and Yu Yuphoria we can come to some conclusions. With a Nexus smartphone, you could always count on two things: first, they were always designed with good, if not flagship specifications, and secondly, they generally sold for only around $350. In other words, they were designed originally to be a showcase of pure Android at a price the masses could afford. The Nexus smartphone had always been sold directly through the Google Play Store and was an unlocked device so buyers paid an off-contract price. However, this time around, Google really changed up their playbook – they chose Motorola to build their flagship, the Nexus 6, charged a fair, but expensive price and let carriers sell it on a two-year contract. The new Nexus 6 display is a whopping 5.96-inch; they used the best processor available at the time, packed in 3GB of RAM and actually put in a decent camera and dual front-facing speakers. They sold it through the carriers this time around, most likely to allow customers a chance to purchase it on a two-year contract to soften the blow of the higher price tag of $650 (Now down to $499.) Google’s decision caused a lot of dismay among long time loyal Nexus users. The Nexus 6 sports a beautiful 6-inch AMOLED QHD display with a resolution of 2560 x 1440 pixels with 493 pixels-per-inch (PPI) versus the 5-inch HD LCD display and 294 PPI on the Yuphoria. The Nexus 6 uses a 32-bit Qualcomm Snapdragon 805 quad-core processor clocked at 2.7GHz – a great processor that can stand up very good to the 64-bit Qualcomm Snapdragon 410 quad-core processor in the new Yuphoria. The Nexus 6 has 3GB of RAM and either a 32GB or a 64GB variation with no room for expansion. The Yuphoria has 2GB of RAM and only 16GB of storage, but also a microSD card slot to expand. The Nexus 6 packs a 13MP main camera with auto focus, OIS and a dual-LED Flash Ring that encompasses the lens in the Nexus 6. It takes better pictures than the Yuphoria’s 8MP camera with no OIS. The Nexus 6 uses only a 2MP front-facing camera (FFC) and the Yuphoria jumps up to a 5MP FFC. The battery in the Nexus 6 is a huge non-removable 3220mAh versus the smaller, removable 2230mAh found in the Yuphoria. The Nexus also offers Qi standard built-in wireless charging and includes the Motorola Turbo Charger in the box. To sum it all up, the Nexus 6 has a nano-coating for water resistance and has dual front-facing speakers, Wireless Charging and comes with the Motorola Turbo Charger, which can give up to 8 hours of use from a 15-minute charge. It is available not only in the Play Store, but also on major U.S. networks as well as U.S. Cellular. It will run you $500 off contract for the 32GB model. Last, but certainly not least, you will get the fastest Android operating system updates of any device on the market, in a ‘pure vanilla’ form. The Nexus 6 also comes with some great software benefits brought over from the Moto X. 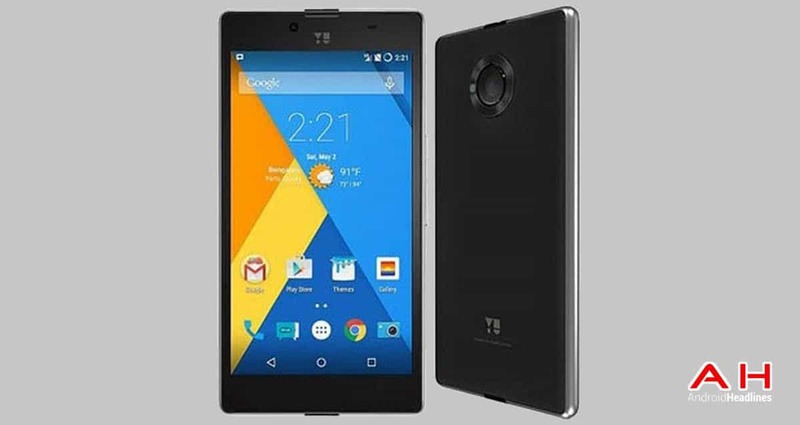 The Yuphoria is Yu Televenture’s – a wholly owned subsidiary of Micromax and a popular Indian manufacturer of smartphones – latest rendition of a quality smartphone at a rock-bottom price. The phone is mostly made of plastic with metal trim that goes around the outside edges, which are nicely rounded and is a delight to hold. The right side has the power button between the volume up and down buttons – but the power button is lower than the volume buttons…you will eventually get used to the feel. The Yuphoria comes with a 5-inch IPS LCD HD display with a resolution of 1280 x 720 pixels and 294 PPI – this goes up against the Nexus 6’s QHD 5.96-inch display with 493 PPI. Processing on the Yuphoria comes from a 64-bit Qualcomm Snapdragon 410 quad-core clocked at 1.2GHz with 2GB of RAM and 16GB internal storage, complete with a microSD card slot for expansion up to an additional 32GB. The Nexus 6 uses a 32-bit Snapdragon 805 quad-core clocked at 2.7GHz with 3GB and 32GB of internal memory, with no room to expand. The main camera is an 8MP sensor with autofocus and an LED flash, and it has a huge metal ring surrounding the lens – this goes up against the 13MP camera in the Nexus 6 that adds a dual-LED flash and OIS. The Yuphoria has a large 5MP FFC for excellent social selfies and video chatting, while the Nexus has a small 2MP FFC. The Yuphoria has a small, removable 2230mAh battery compared to the much larger 3220mAh non-removable battery in the Nexus 6. Both batteries will get you through a normal day and both devices have a quick charge feature. The Yu Yuphoria is a dual-SIM device and comes with Pure Wolfson Sound, although the main speaker is a little on the soft side – you can hear the difference with a good set of headphones or earbuds. It is running Android 5.0.2 Lollipop with Cyanogen 12 riding on top. The phone is available in two colors – Buffed Steel and Champagne Gold for approximately $110. This was a tough decision – do we go with the Nexus 6 with the better display, sound and camera for $500 or do we go with the Yuphoria and its 64-bit processor, expandable memory and removable battery for only $110? You can understand the dilemma to pick a winner. I am picking the Nexus 6 as the winner – other than the 32-bit processor and higher price – it certainly outclasses the smaller, less expensive Yuphoria. The large QHD AMOLED display, a great processor, more RAM, better camera, wireless charging and a Turbo charger included is more than the $110 Yuphoria can handle. I am not saying that the Yuphoria is not a good smartphone – it is, and it gives you a lot for your money. It only has a 720p display, but that was the norm not all that long ago, but it does have a 64-bit processor, and room to expand the internal memory. The device itself may not be made quite as nice as the Nexus 6, but it still feels solid and looks nice to the naked eye. So you can pay the $500 and get a terrific smartphone or pay $110 and get a great smartphone – only you can decide what is more important…features or saving cash. In the case of the Nexus 6 or Yu Yuphoria, either way, you are getting a wonderful device. 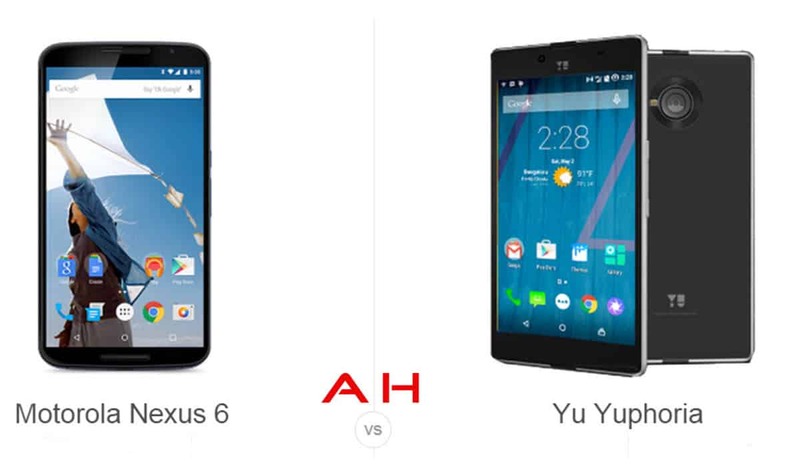 The post Phone Comparisons: Motorola Nexus 6 vs Yu Yuphoria appeared first on AndroidHeadlines.com |.